Analysis: Robinson saw a significant jump in his snap count down the stretch of the regular season with Sammy Watkins (foot) sidelined, totaling 15 grabs for 237 yards and three touchdowns in the last seven games. 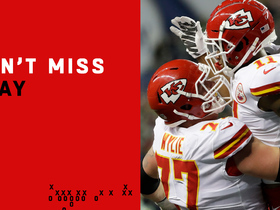 The 2016 fourth-round pick completed his third NFL season with 22 catches for 288 yards and four touchdowns and has one more season remaining on his rookie deal with the Chiefs. Analysis: While Robinson didn't see anywhere near the seven targets he received last week against the Ravens, he made the most of it by reaching the end zone for just the second time this season. His added involvement last week may have been an anomaly, given his dip to 36 offensive snaps in Thursday's affair. Robinson could remain involved as the campaign concludes, however, with Sammy Watkins (foot) potentially done for the regular season. 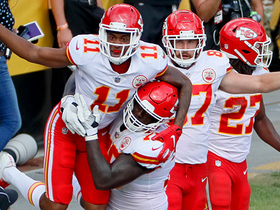 Analysis: Even with Sammy Watkins (foot) missing most of the last three games, Robinson has amassed just a combined five catches for 82 yards over that span. He was in the starting lineup for the contest and played the third-most snaps among receivers, but he remains well down the pecking order for targets. Robinson's value will shrink even further if Watkins can return in Week 14 against Baltimore. 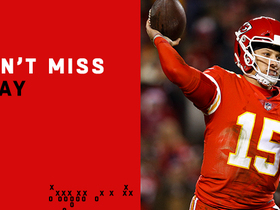 Analysis: Despite a massive 51 points put up by the Chiefs, Robinson was rarely on the end of a pass attempt by quarterback Patrick Mahomes. Given his lack of involvement even with Sammy Watkins (foot) limited, it seems unlikely Robinson will gain fantasy relevance this season barring multiple injuries to the receiving corps. 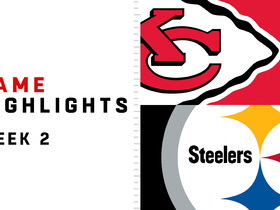 Robinson reeled in three of his four targets for 30 yards Sunday against the Cardinals. Analysis: Robinson saw some extra reps with the offense Sunday with Sammy Watkins (foot) unavailable for the contest. He logged 43 snaps, falling just short of his season-high 45 earlier in the campaign. Robinson could be in line for increased reps again in Week 11 if Watkins is unable to recover in time. Robinson hauled in one of his two targets for three yards Sunday against the Browns. Analysis: Robinson saw just 18 offensive snaps in the contest and remains buried on the depth chart for the most part. Barring an injury keeping one or more of the top three wideouts out, there's little reason to believe his production will increase dramatically. 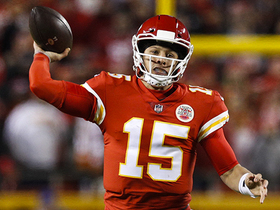 Kansas City Chiefs quarterback Patrick Mahomes throws his 50th touchdown of the season on a 89-yard touchdown pass to wide receiver Demarcus Robinson. 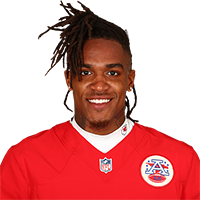 Kansas City Chiefs wide receiver Demarcus Robinson hauls in an impressive toe-drag touchdown catch. 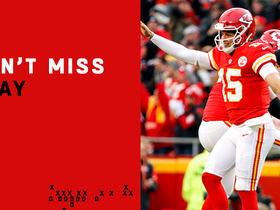 Kansas City Chiefs Demarcus Robinson catches for a 5-yard touchdown pass from quarterback Patrick Mahomes. 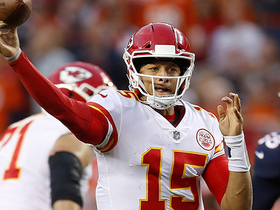 Kansas City Chiefs quarterback Patrick Mahomes unleashes sidearm dart over middle to wide receiver DeMarcus Robinson. 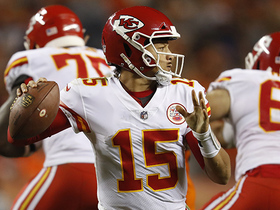 The Kansas City Chiefs led by quarterback Patrick Mahomes drive late in the fourth quarter for a go-ahead touchdown on "Monday Night Football" against the Denver Broncos in 2018. 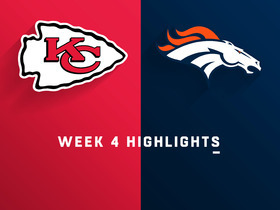 Watch highlights of the Kansas City Chiefs defeating the Denver Broncos at home for Week 4 of the 2018 season. Kansas City Chiefs quarterback Patrick Mahomes throws a frozen rope to wide receiver Demarcus Robinson with Denver Broncos linebacker Von Miller bearing down. 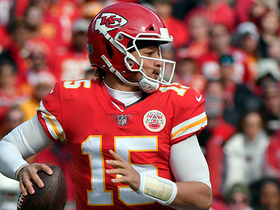 Kansas City Chiefs quarterback Patrick Mahomes finds Robinson in back of end zone for his fifth touchdown of game.